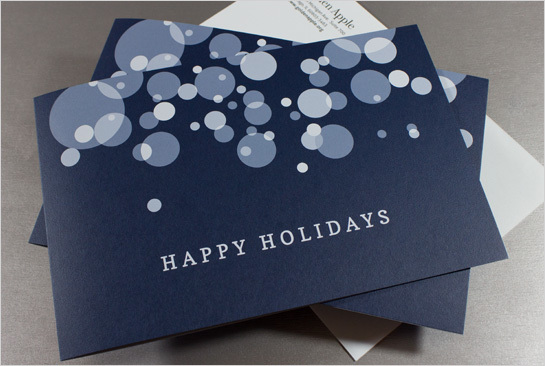 To wrap up 2012 and give a heartfelt thanks to supporters, Golden Apple Foundation asked us to create a holiday card for their donors and friends. To stay within the project’s modest budget, our team opted to use digital printing provided by our excellent partners at Elk Grove Graphics. But despite the small quantities and budget, our team still wanted to utilize premium production techniques of the piece, making it feel even more special for recipients.